Are you getting the most from your extras? Recent health insurance premium increases have raised the question of whether health funds are cashing in on poor value extras cover. 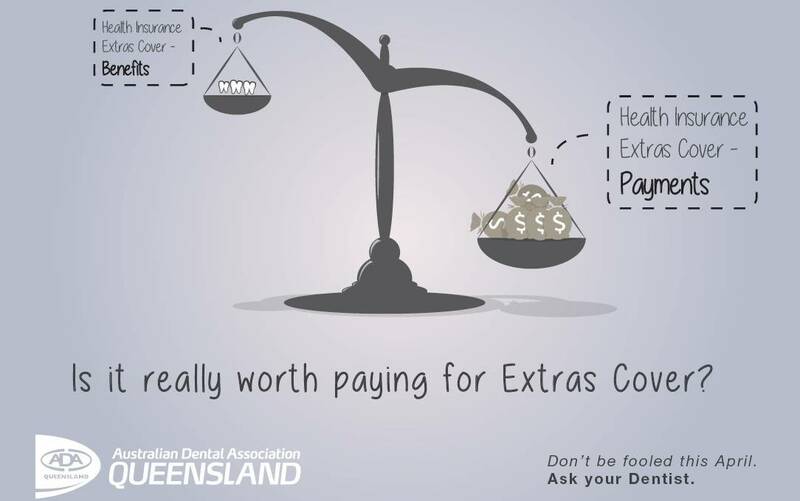 On April 1 the average price of private health insurance increased by an average of 5.59%, prompting both leading consumer group Choice, and the Australian Dental Association QLD (ADAQ) Branch to encourage consumers to consider whether extras cover is worth the expense. In a statement released in early March, Choice called for consumers to “consider dropping their extras insurance unless they are confident of receiving more in benefits than they are paying in premiums.” Choice’s spokesperson Tom Godfrey states “In the wake of the price hike, you should also ask yourself why you have private health insurance? Is it for tax purposes or planned hospital visits, emergencies or dental and optical expenses? Knowing what you want from your cover can save you a lot of money…If dropping extras insurance is an option for you, you could save thousands of dollars a year on your health insurance premium”. Read Choice’s full statement here. The ADAQ have echoed Choice’s concerns, stating that “This year’s increase is the ninth in a row of five per cent-plus increases. With regards to dentistry specifically…it’s about providing a profit for private health insurers” rather than for the benefit of the consumer. Read the ADAQ full statement here. Private health insurers have also come under fire for encouraging their members to exclusively see those medical and allied health practioners that have a “preferred providers” relationship with their company. We are often asked if we have this relationship with private health insurance companies and why Medland Dental has made the conscious decision not to be a health fund “preferred provider”. Providing optimum patient care, individually tailored to each patient’s individual needs is Medland Dental’s first priority. Medland Dental prides itself on unbiased and uncompromising service and treatment, individualised care and technical excellence so we have made the conscious decision not to be contracted to any of the health insurance companies. Read more information about our decision here. If you would like any further information, or would like a copy of your financial statements, please feel free to call one of our Front Office Coordinators.